We love this collection of books that contain a redesigned version of The Bible which allows for easier reading. The books are still available on Kickstarter. 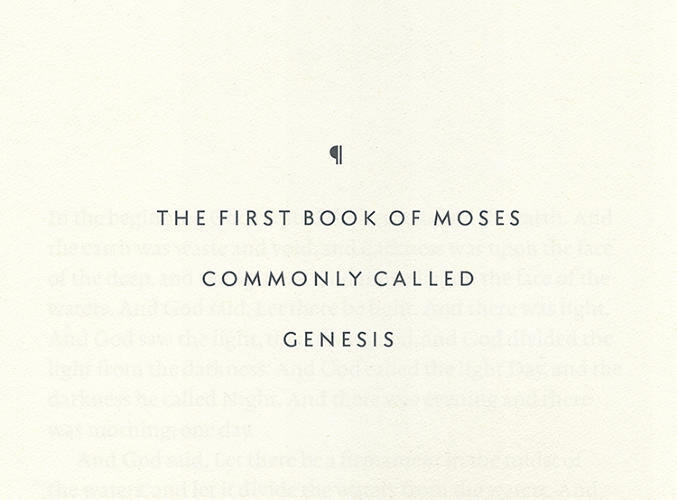 "The Bible is sometimes called the greatest story ever told. Its typography, on the other hand, leaves much to be desired. 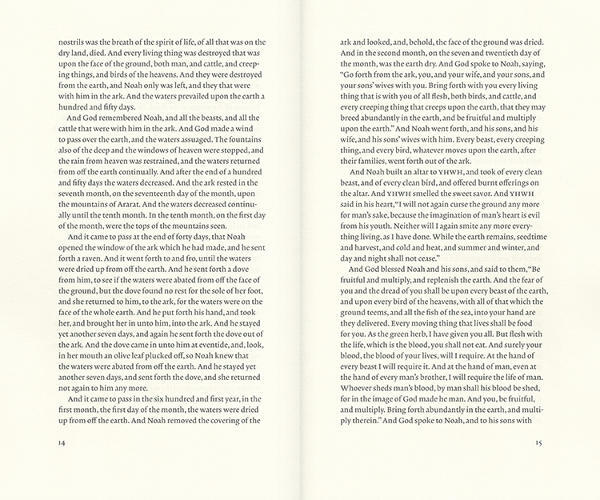 Unlike the layout of novels, the layout of the Old and New Testament discourages reading the book from front to back. Normally printed as a single, 2,000-odd page volume with microscopic, two-columned text, the Bible's typography is designed with reference, not readability, in mind. No wonder that while 73% of Americans say they are Christian, only one in five Americans will cop to actually reading the Bible on a regular basis. A new Kickstarter project by Santa Cruz typographer Adam Lewis Greene is hoping to improve Biblical literacy. Called the Bibliotheca, the project is a new printing of the Old and New Testaments that is designed to be read from cover to cover. Greene's goal is to put readability first. The idea behind Bibliotheca is simple: What if we printed the Bible as if it were just another long book? Instead of trying to cram the 726,000 words of the New International Version of the Bible into a single volume, Bibliotheca splits it up into four attractive hardcover volumes, two each for the Old and New Testament. This is designed to make the typographical layout roomier and more psychologically approachable. Couple that with the adoption of a larger, custom sans serif font, line lengths optimized for readability, and the abandoning of verse numbers, and you have a Bible that wants to be read like a short story collection-- even if its page-to-text proportions are based on the dimensions of the Ark of the Covenant (and they are!). It might seem like a relatively strange way to present the Bible, but as Greene points out, the verse and chapter numbers we associate with the Bible as reference points are actually relatively recent additions, having first been introduced in the Medieval era. He also argues that the Bible was originally meant to be experienced, not as a spiritual encyclopedia, but as literature. "Today, our contemporary bibles are ubiquitously dense, numerical, and encyclopedic in format; very different from how we experience other classic and foundational literature, and completely foreign to how the original authors conceived of their work," Greene writes."